Bank of Monticello is a Community Bank located in Northeast Missouri. Our Company was organized by local shareholders in 1928 to meet the needs of the families and businesses of Monticello, Missouri and the surrounding communities. While many things have changed over the years, our commitment to the Communities that we serve is stronger than ever. 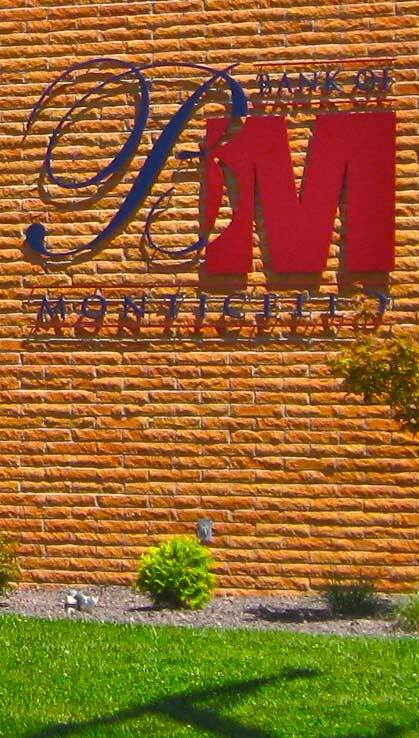 Bank of Monticello has expanded over the years in response to our growing customer base. Today we are proud to serve Lewis, Clark and surrounding counties at locations in Monticello, Canton, and Kahoka. We not only offer the same friendly personal service that our customers have known us for over the years, but we also provide the latest banking products and technology. If you are a Bank of Monticello customer, Thank You. If you are not yet a customer, stop by a branch today for the same big bank services and small town personal attention that we have been providing to your friends and neighbors for over 85 years.